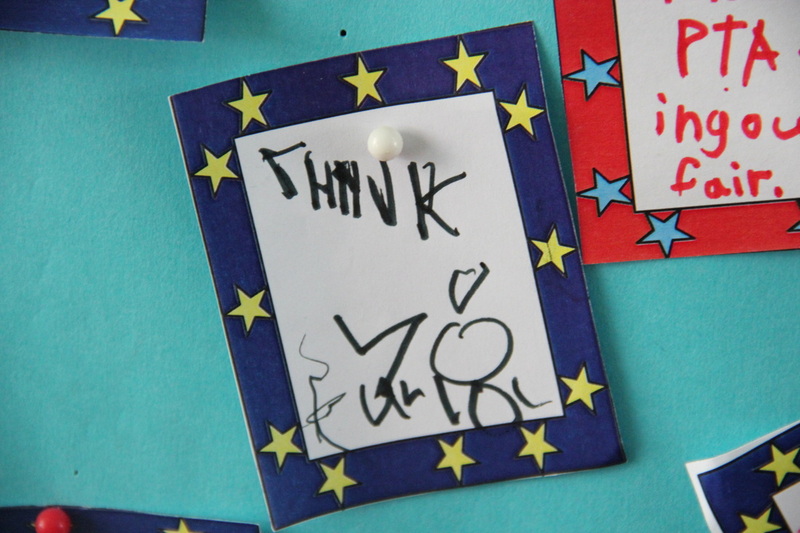 The 'Notes of Gratitude' programme that started in Kindergarten 1 (see previous posts) has taken off! At ISS Elementary School there is now a display board dedicated to 'Notes of Gratitude'. All members of the school community are able to write and post notes to a person or group they would like to thank on our new school board. In K1KB, we were very excited as there were many people we are thankful to and for. Take a look next time your at school, you might just spot a note for meant for you! Notes of Gratitude from Home! Kili and Siena wrote this Note of Gratitude from home to bring to school. 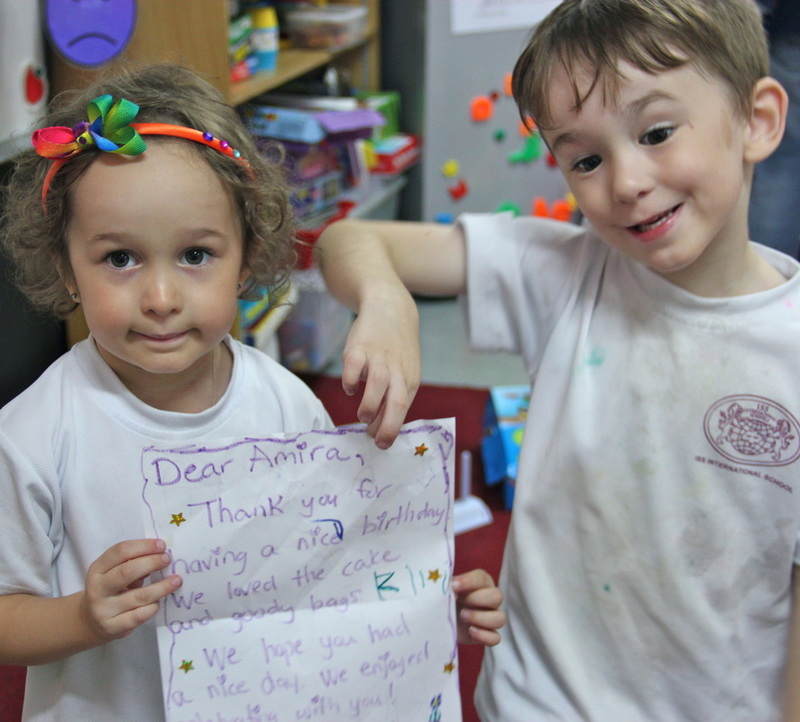 Here is a letter that they helped to write Amira to say 'Thank you' for the cake and goodie bags they had at Amira's Birthday Party. Great work Kili and Siena! On Friday, we created our own post boxes as Ms. Karla thought that we just might receive some mail . . . and we did! After play, we found letters in our boxes from our buddies! They thanked us for inviting them to Amira's Birthday Party and had some nice things to say about being our buddies. It was a lovely feeling to get some mail. Hopefully we'll get some more soon. This week we all gathered in Room 16 with K1AC to hear about a tradition that is very special to Ms. Alison - Thanksgiving! Thanksgiving Day in Canada has been a holiday since 1957. We learnt that people in Canada use Thanksgiving weekend as an opportunity to spend time with their loved ones; visiting family or friends who live far away. They also prepare a special meal to eat. Traditionally, this included roast turkey and seasonal produce, such as pumpkin and corn. Yum! We talked about the reason that people celebrate Thanksgiving with their friends and family. Thanksgiving is a time to gratefully acknowledge and give thanks for all the good things in our lives. The children in K1KB thought about the things they are grateful for and then used the video function on the iPad to record each others Thanksgiving messages. We're so lucky to have parents who love us and even more lucky to have parents that drop in delicious cookies for us! We had to say a big THANK YOU to Nadine, who brought in some yummy cookies for us to eat after our Peace Day celebrations. 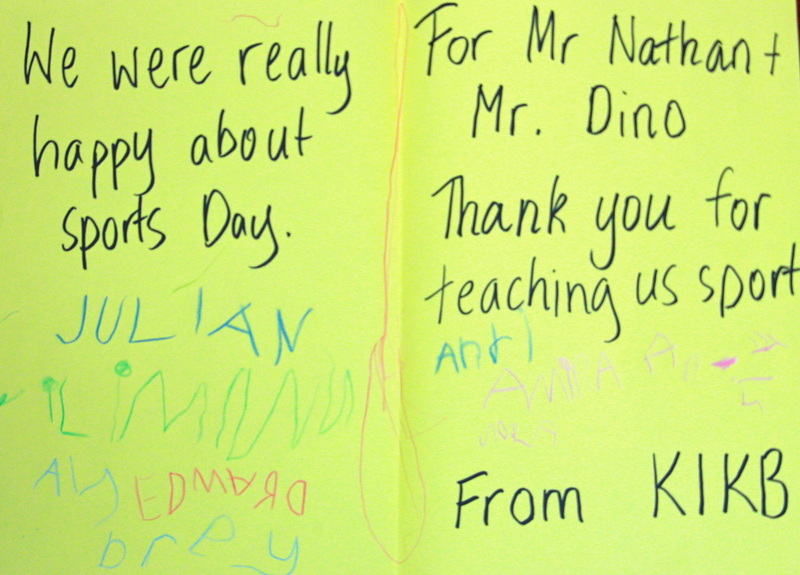 Here is our note thanking Mr. Dino and Mr. Nathan for all the work they put into organising our Sports Day. Thanks again for your hard work! In the PYP, it is believed that education must extend beyond the intellectual to include not only socially responsible attitudes, but also thoughtful and appropriate action. This action will extend the student’s learning, or it may have a wider social impact, and will look different within each age range. Previous ‘Action as Service’ projects at ISS School have included creating a butterfly garden and a whole-school recycling system. Through such service, students are able to grow both personally and socially, developing skills such as cooperation, problem solving, conflict resolution, and creative and critical thinking. Moreover, these actions are ways in which the students develop the characteristics of the PYP learner profile and attitudes, to become responsible global citizens. 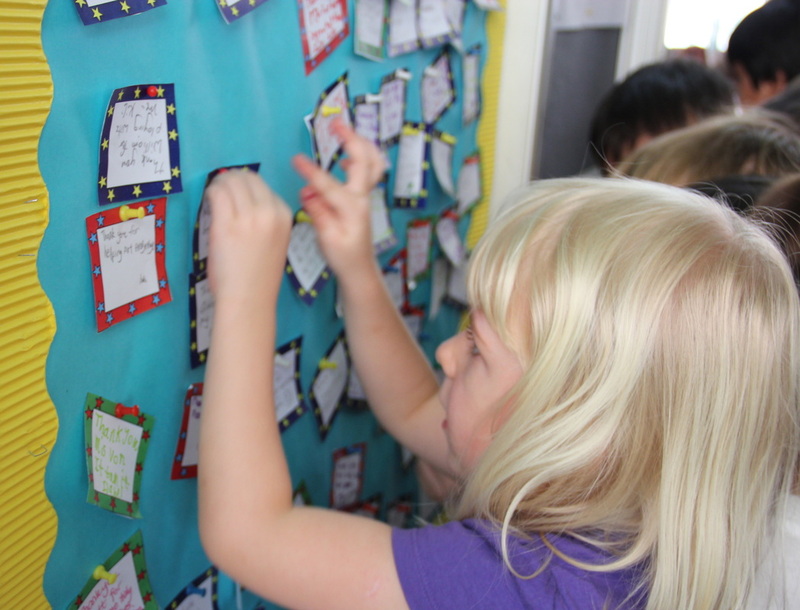 In Kindergarten 1, we have started to write notes of gratitude. In our 'Who We Are' unit of inquiry, we have reflected on how the people around us have shaped who we are. We have a lot to be thankful for; especially the family and friends who make us who we are; by helping us, teaching us and loving us so much!